Yosuke Minoda worked as a research assistant in the Children’s Cancer Centre until March 2012. 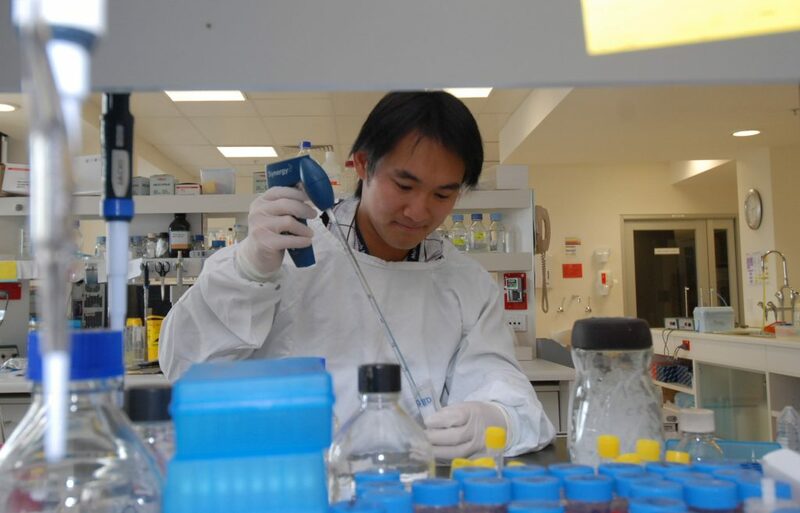 He is now working towards his Ph.D., at the Fiona Elsey Cancer Research Institute in Ballarat. He reported on this work in a letter to CIKA in April 2013. Here is a summary. After leaving the Children’s Cancer Centre at the RCH, he commenced a Ph.D., and is working at the Fiona Elsey Cancer Research Institute in Ballarat where he is conducting research into both solid tumour and blood cancers using patient samples. This is a natural extension of his work at the Children’s Cancer Centre at the RCH and provides him with access to all sorts of cancer samples including breast, ovarian, non-hodgikins lymphoma, lung, myeloma, lymphoma, CLL , ALL and so on. He is currently investigating several groups of T cells to establish their importance in cancer patients. 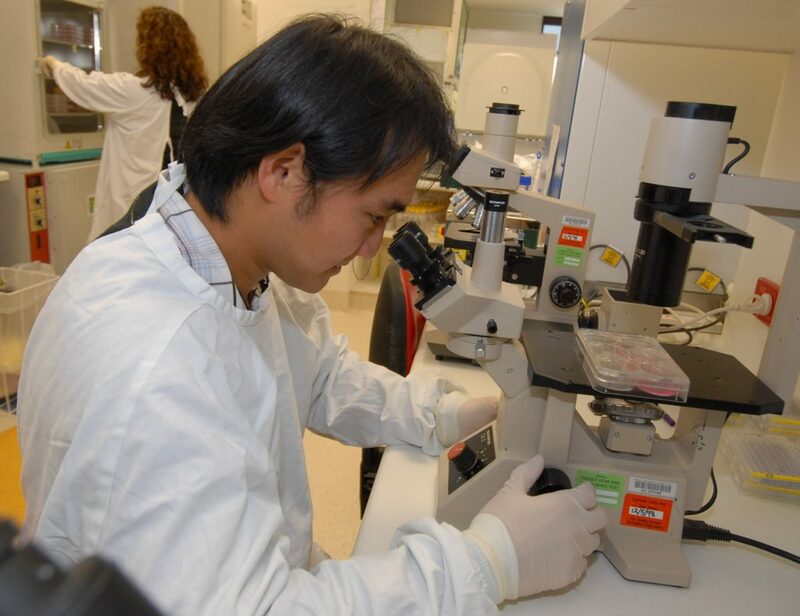 This is an extension to the dendritic cell cancer vaccine work that he undertook, with support from CIKA, at the RCH, since dendritic cells have a capacity to regulate these T cells to potentially attack or suppress cancerous cells. He reports that he enjoyed his experience working for CIKA and the CCC and gets many questions about cancer vaccine trials whenever he is introduced to new people at various social events. He hopes to complete his doctorate within the next two or three years and plans to keep CIKA updated on the progress of his work. He also plans to continue his work as a CIKA volunteer if time permits. All of us at CIKA are grateful for for his work in the fight against childhood cancer and wish him every success in his current research. 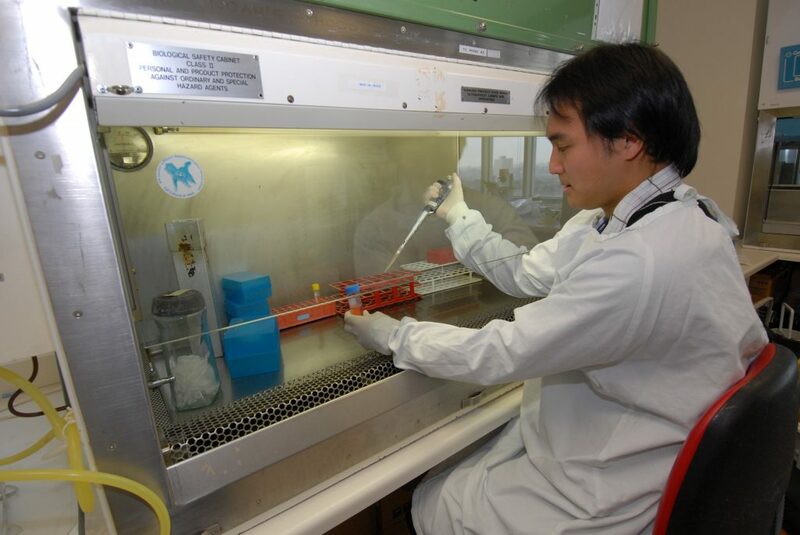 Here are some photographs of Yosuke at work in the lab. Pipetting at the safety cabinet. Some of the activities in which Yosuke was involved can be found by clicking here.